Being the seventh in the Pragnya Series, ‘Amruthavarsha - a prayer companion’, is a unique compilation of popular Shlokas from our sacred, profound Vedic Sanskrit Literature. 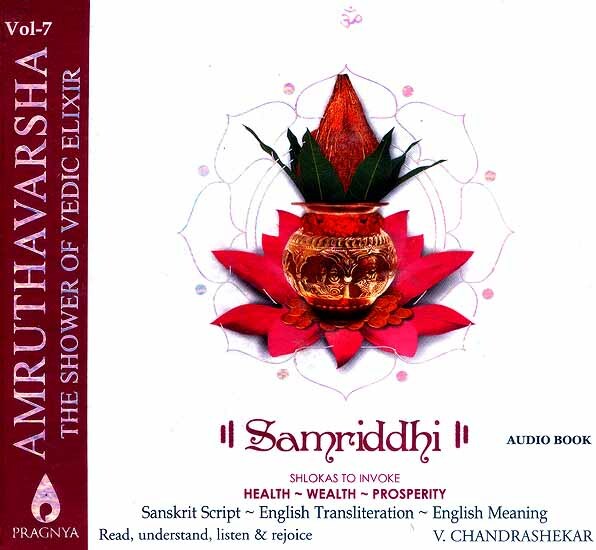 It is a novel attempt to create awareness about the importance of proper pronunciation of Sanskrit Shlokas, through simple English transliteration and supporting vocals, along with English meanings. These Shlokas are included for their usefulness in daily practice, for their highest spiritual quality and for their illuminating effects.